Truck accidents should be few and far between but, sadly, they are an all too common in Delaware. In fact, according to the Delaware State Police, there are nearly 2,000 truck accidents in the state each year, many of which result in property damage and personal injury. Though not all truck crash injuries are catastrophic, even those considered relatively minor can have long-lasting, negative impacts on victims' lives. If you or a loved one sustained minor, but lasting, injuries in a truck accident caused by another person or entity's negligence, you may have grounds for a personal injury lawsuit. Read on for information you should know before taking legal action. It is often said that people who survive truck accidents with only minor injuries are lucky to have walked away with their lives. While that might be true, it minimizes the very real suffering that accident victims with “minor” injuries might be enduring. For many truck crash victims, minor injuries can lead to long-lasting and even debilitating medical conditions that can make it difficult to meet the demands of their job or take part in activities they previously enjoyed. Whiplash. One of the most misunderstood accident injuries due to false portrayals in television and movies, whiplash is a soft-tissue injury that can cause pain and reduced mobility in the neck, shoulders, and back. In some cases, this pain can become chronic or so severe that it prevents crash victims from carrying out daily activities. Concussions. Also known as mild traumatic brain injuries (MTBIs), concussions often heal with plenty of time and rest. However, if a person sustains subsequent concussions before an earlier head injury has healed, they're at risk of developing repetitive concussion syndrome, which can result in long-term dementia-like symptoms. An example of this would be if a person suffered a concussion playing sports and then suffered a second concussion a truck accident. Dental and facial injuries. Though dental and facial injuries may be considered “minor,” they can have serious effects on a truck accident victim's life and finances, requiring extensive—and expensive—plastic and orthodontic surgeries. Disfiguring dental and facial injuries can also take a toll on a victim's self-esteem and confidence. Back injuries. Back pain is a common complaint after a truck accident but, in some cases, soreness may indicate a more serious problem, such as displaced vertebra, herniated discs, and torn ligaments. Sometimes, the pain from such injuries can be debilitating, preventing victims from completing both work-related and recreational activities. Joint damage. Trauma to joints can limit movement and, in some cases, even hasten the development of various types of arthritis. Psychological trauma. Truck accidents can be extremely traumatic experiences that can cause victims to develop long-lasting psychological injuries, including severe depression, wide-ranging anxiety, and post-traumatic stress disorder (PTSD). The psychological trauma from truck crashes can be even more devastating for victims who sustained disfiguring injuries. The skilled personal injury attorneys with the Morris James Personal Injury Group understand that minor truck accident injuries can lead to devastating changes in victims' lives. If you were hurt in a truck crash that wasn't your fault, we can help you understand your rights and pursue your options for compensation. Contact us today to schedule an appointment for a free initial consultation. 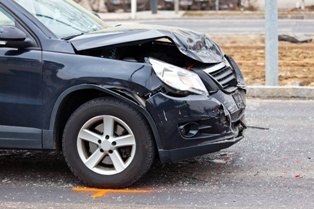 Act now—the time to file a truck accident personal injury lawsuit is limited.